The provisional entry list of 60 competitors for the 2019 24 Heures Motos has been released. The 39 full-season FIM EWC participants make up the bulk of the squads entering the fray on the Bugatti circuit at Le Mans on 20 and 21 April. The countdown to the 42nd edition of the 24 Heures Motos has begun with the provisional entry list released at a press conference at Eurosport’s offices in the Paris region in the presence of Pierre Fillon, President of ACO, the race organizer; Jacques Bolle, FIM Vice-President and FFM President, and François Ribeiro, Head of Eurosport Events. 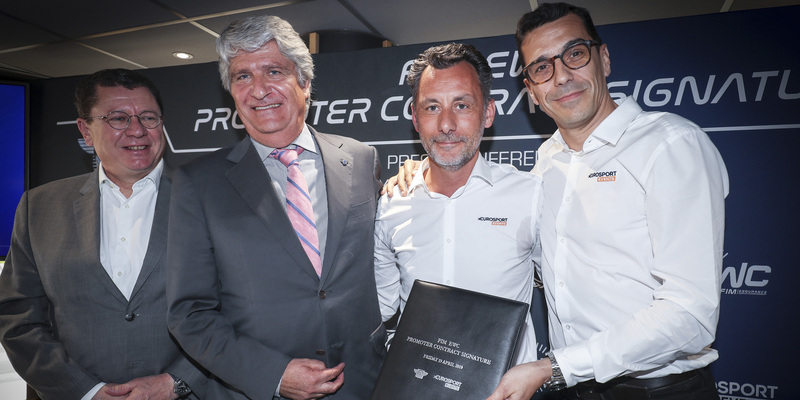 The 39 teams taking part in the full season of the 2018-2019 FIM EWC make up the bulk of the field at the 2019 24 Heures Motos. The championship’s international appeal has grown, with 60 teams representing 12 countries, and 19 rider nationalities to date. The FIM EWC has once again drawn some big-name international racers this season. Yamaha Viltaïs Pierret Experiences, who are competing in the EWC class this year, have announced the arrival of Xavier Siméon. The Belgian rider, who won the Superstock 1000 World Cup in 2009, was a Moto2 rider from 2010 to 2017 before joining MotoGP in 2018. He also made an appearance at the 2008 24 Heures Motos as back-up rider for Suzuki Endurance Racing Team. Motors Events have recruited BSB Superbike Championship racer James Westmoreland. He will make his FIM EWC debut riding the Suzuki #50, a Superstock entry. A new Italian team are also making their first foray into Endurance at the 24 Heures Motos. SC Project Paton Reparto Corse will have three former Superbike and Supersport world championship racers – Lorenzo Lanzi, Michel Fabrizio and Luca Marconi – riding the team’s Honda #57. With 80 days to go for the second round of the 2018-2019 FIM EWC, some teams such as Honda Endurance Racing are yet to reveal their line-ups. TV coverage across the world will be more extensive than ever before, with 15 channels in Europe, Asia and North and South America broadcasting the 24 Heures Motos this year and three new broadcasters – in Russia, the Czech Republic and the Philippines – showing coverage. 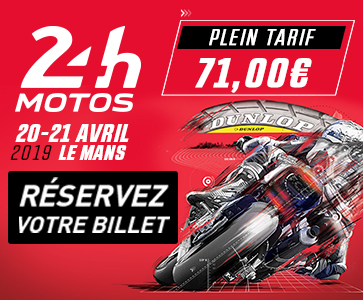 French viewers will be able to watch live coverage of the 24 Heures Motos on Eurosport 2 and La Chaine l’Equipe, and Eurosport Player will show the full race live. The 2019 24 Heures Motos will be flagged off at 3pm on Saturday 20 April.